Please login to access further Pain Faculty information in the side bar menu. OA is a common condition that can have a marked impact on the lives of sufferers. CG177 states that, as with other conditions resulting in persistent pain, an individual’s OA symptoms are related not just to physical changes of the disease but also to their expectations and the beliefs they have in terms of their ability to cope (self-efficacy). Addressing these and the other non-physical consequences of OA, including low mood, poor sleep and altered coping strategies, should be included as part of its management. The guidelines include recommendations on assisting patients in their self-management of OA through the provision of information and guidance. Key among these is helping patients understand their condition in a way that is meaningful to them, the use of exercises and appropriate shock absorbing footwear, and support with weight control. Secondary self-help strategies that should be considered include TENS, heat or cold packs and devices to help reduce the impact of the illness on activities of daily living such as walking aids. Manipulation and stretching is recommended to support activity and exercise, particularly where there is OA of the hip. New in these guidelines are recommendations for periodic review to assist patients’ self-management and advice against the use of acupuncture and glucosamine / chondroitin. 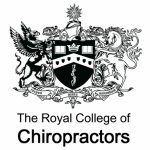 The Pain Faculty has produced a summary of the guidelines for chiropractors, available here. The Role of the Pain Faculty is to help ensure standards of pain management are raised and promoted and to establish links with other pain organisations thus fostering interdisciplinary collaboration and understanding. Non-physical factors (psychological and social) can have important influences on how patients experience pain and respond to treatment. The Pain Faculty aims to assist members in increasing their understanding of, and practical skills in, the identification and management of non-physical factors affecting patients in pain, particularly spinal pain. Effective communication and education are paramount in the management of patients with MSK pain. The Pain Faculty aims to assist members in educating their patients about their pain to reduce potential anxiety and fear avoidance, and to facilitate self management strategies. The Pain Faculty aims to develop and adapt suitable resources that aid pain management. Management of MSK pain often benefits from a multidisciplinary, integrated approach. The Pain Faculty aims to help members gain a better understanding of the pharmacology of pain management and how it may influence other areas of patient care. The implications for the chiropractor of obtaining limited prescribing rights remains under debate. Acupuncture is used both as a primary treatment and an adjunct to care by many health care professionals, including chiropractors. The Pain Faculty seeks to enhance the understanding and skills of members interested in the use of acupuncture for pain control. Manual therapy and exercise prescription are probably the most widely used conservative treatments worldwide for neuro-MSK pain management and are the mainstay of chiropractic care. The Pain Faculty aims to encourage and promote a best-evidence approach to manual care, based upon a synthesis of the ever-increasing multiprofessional literature, in order to help guide and update practitioners in their clinical management of patients.